I usually use my Classic Comics feature to review a comic book. However, I’m going to do something different and talk comic book barcodes. What are comic book barcodes for? Why do some have pictures of Spider-Man’s head instead of the barcode? How and why did they affect comic book covers of Marvel and DC from the late 70s and early 80s? Let’s delve in. For comics coming out at a time when technology didn’t move so fast, there had to be assurances for companies like Marvel and DC. But more on that soon. 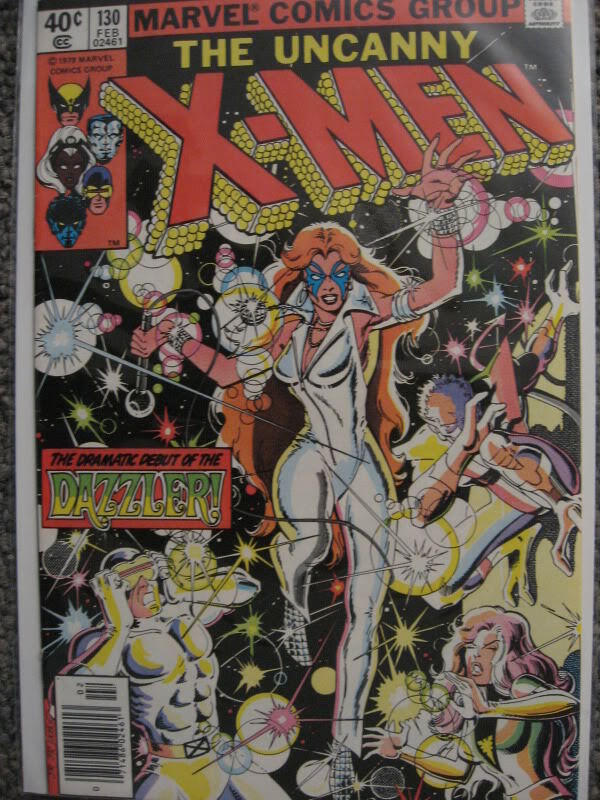 Here’s my copy of X-Men #126 from October of 1979. By all means, I invite you to click on the image to see it larger. Please pardon the quality of my old camera. Let’s take a closer look at the bottom-left corner of the comic. I remember when I first started collecting, I had no idea why someone would put black strikes through the barcodes. Eventually, it dawned on me how the strikes only seemed to have affected a particular era of comics. Also, they weren’t drawn – but printed over. I wanted to know what it meant (and I’m sure you do too)! 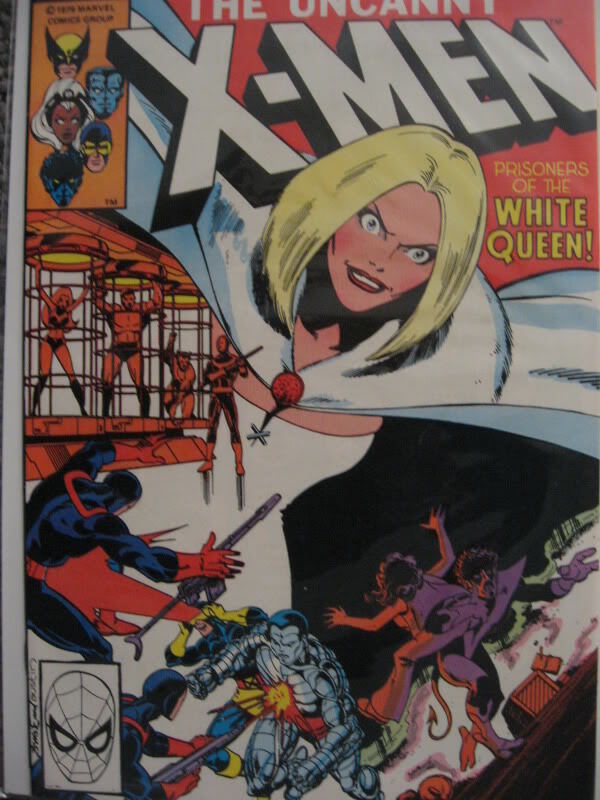 Three of the following X-Men comics I have had strikes up until X-Men #130, from February of 1980. Then issue #131 – a month later – it didn’t have a barcode at all! Instead of a barcode, I see. . . a picture of Spider-Man? 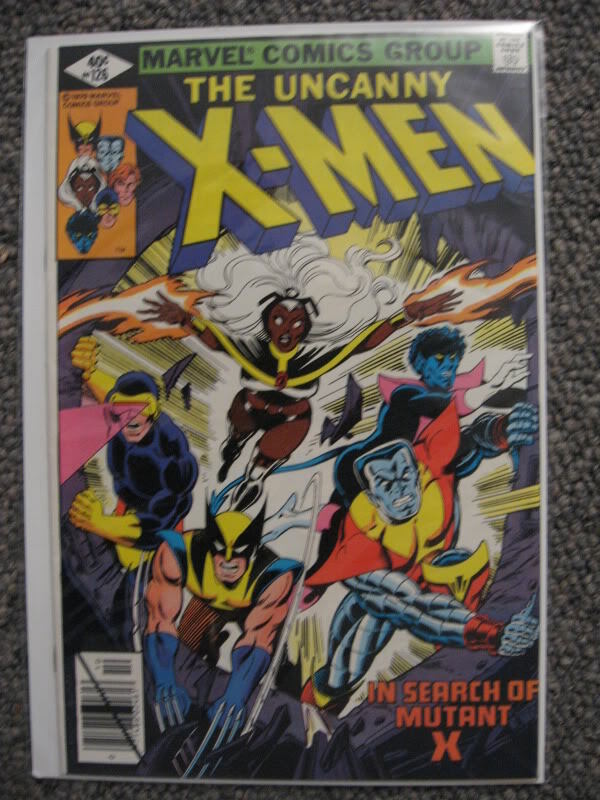 But I’ve seen issues of X-Men #131 with a barcode! What happened?! 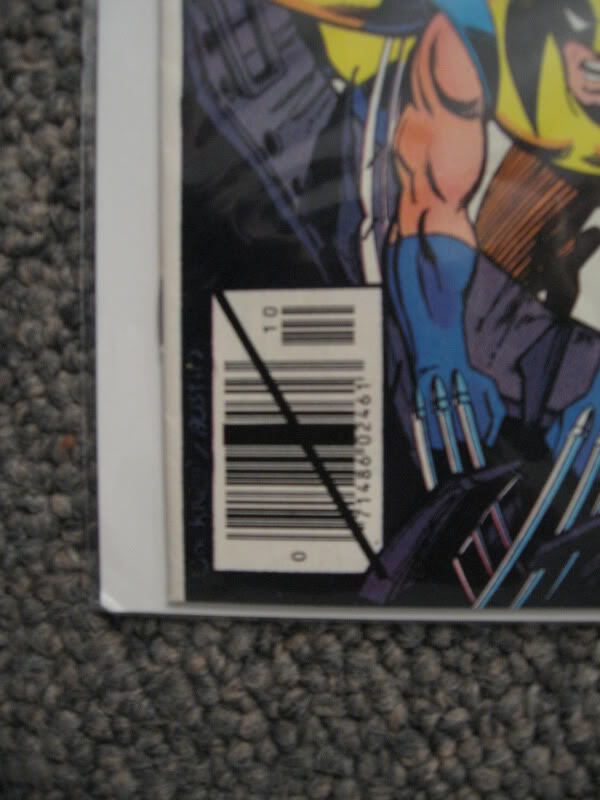 Firstly, a crossed out barcode means the comic is a Direct Edition. Well, what’s that? In a nutshell, there are two “types” of editions: Direct and Newsstand. A Direct Edition is sent to the comic book store and sold there. A Newsstand Edition is something which a newsstand would carry (seems obvious, right)? However, this was not just exclusive to newsstands, as malls, convenience stores, and drugstores could also receive Newsstand Editions. A Direct Edition comic is crossed out due to a variety of things. One is because it tracks sales for the publisher, while another reason is to stop the store owner from returning the comics they did not sell. A crossed out barcode means the barcode could not be scanned into inventory. Obviously, that means the Newsstand Editions could be returned back to the publisher. Arguably, Direct Edition comics are more sought-after because they would have been treated more carefully, as they wouldn’t have been placed in spinner racks. They were also bought by the dealer at a lower price presenting another reason to why dealers were unable to return them. That being said, do you remember The Amazing Spider-Man #36? It was called the “Black Issue” as it was a tribute to the events of 9/11. I personally own a copy of that comic. Comic book dealers would have received one without a barcode on the cover at all. I bought mine at a local variety store which did have a barcode on the cover. Believe it or not, if you have a good quality copy of that book WITH a barcode, it’s actually WORTH MORE because it is considered rare to find good-quality copies of Newsstand Edition comics. As I said before, Direct Edition dealers/comic book store owners were not able to scan the comics. The funny thing about that is most Direct Edition carriers did not have scanners for barcodes at the time. The technology simply wasn’t there yet! Due to the lack of technology from many of the comic dealers, Marvel replaced the Direct Edition barcodes with things like the Spider-Man head, or DC with Batman. On top of that, it was a way to promote extra little tidbits. Who doesn’t remember “50 Years of Captain America”, or “Spider-Man’s 35th Anniversary”? It was printed on every comic where the barcode should be. It made more sense to put those on Direct Edition books anyway as the readers would be more familiar with what’s happening in their comic book universe rather than a random person purchasing a book at a corner store. Nowadays, since everyone is on par with technology, barcodes have returned and comics just state whether or not they are Direct Editions. 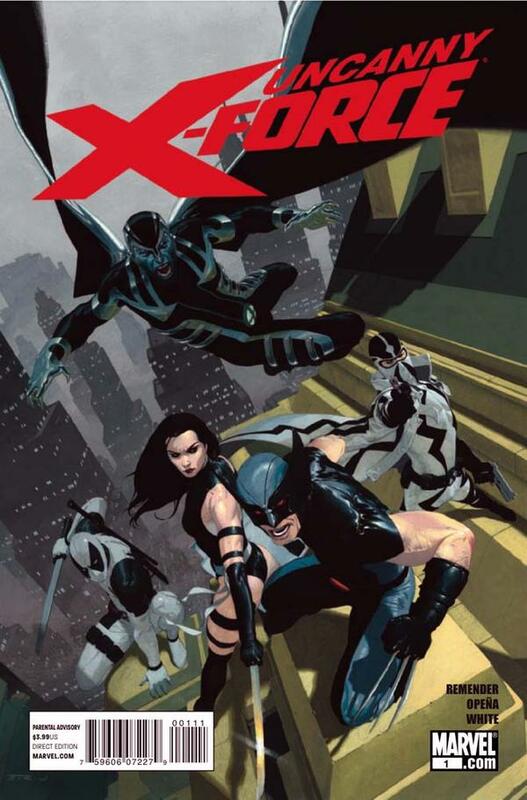 For example, here is a picture of Uncanny X-Force #1 from October of 2010. What does it say right next to the barcode? Until next time folks, keep on Space Truckin’! I have several double issues of uncanny xmen, one has a barcode one has the spiderman face. The ha4code is not crossed out. Both are in VF condition, would one be worth any more than the other? Ideally, the barcode which is NOT crossed out is considered a more valuable than the one with the Spider-Man head. The comic with the barcode would have been sold in newsstands in grocery stores or corner stores, while the Spider-Man head would have been sold in a comic shop – called a direct edition. Given that the newsstand edition would have been treated rougher than one at a comic shop, it is harder to find a newsstand edition in a good quality. While yes, a newsstand comic would be considered more valuable, the market would be the one to dictate the price and value of the book compared to its Spider-Man’ed double. I was just going through some boxes and came across these comics . Any help would be greatly appreciated. I have Legends of The Dark Claw April 96 #1. There is just a barcode . Is it worth anything. It’s in new new condition. I also have Doctor Strange Fate, with just a barcode. Hey, Bee! Thanks for stopping in! Unfortunately, I don’t believe there is much – if any – pricing difference with those particular Amalgam issues. Guide suggests that in NM, they go for around $3 each. I can’t imagine that barcode pricing would make them jump much higher. And the kicker of course, is that you need to find a buyer for them. The “catch” regarding the Amazing Spider-Man #36 issue mentioned above is that it was a special issue (for unfortunate circumstances, that is), and therefore is considered more valuable. It was technically marketed as a collector’s item before it even hit shelves – hence why the value is so high for it. In a nutshell: comic book pricing is a strange game. Thanks for the link! It has a lot more of the history explained. Way cool. Hi, Jared! Thanks for the inquiry! I assume you have Batman #428 and #429. Technically, yes, they are more valuable. Guide suggests NM- pricing to be $22 and $12, respectively. However, holding Newsstand Editions (the ones with barcodes), means you probably have a bit more wiggle room to increase the value. Fortunately you have those key Batman issues, and therefore you actually have the option to up the asking price. But by how much? Well, that’s the tricky part. I’m not so great with comics but I’m trying to get the thanos trilogy as a gift for my brother would those be worth more with a barcode or without? Hi, Luckysmash! Thanks for the query! Correct me if I’m wrong, but I assume that the Thanos Trilogy you’re referring to is the Infinity Gauntlet, Infinity War, and Infinity Crusade series. These particular books – especially Infinity Gauntlet series – are all over the place regarding pricing at the moment. You can thank the upcoming Marvel films for that. I’ve seen individual Infinity Gauntlet books sell for around $30-$60 each, while packaged as a whole anywhere between $90-$150 (all in Canadian pricing). I know this from the most recent comic convention I attended in September. Many of the vendors there shared similar pricing. For the books without a barcode or with a picture instead of a barcode, are considered Direct Market books – so comics sold directly to the comic book shop. Comic books with a barcode could be Newsstand Editions – books from corner stores. Unfortunately with the current market of those books, it’s difficult to gauge the pricing with barcodes. The Overstreet Guide suggests for Infinity Gauntlet #1, a 9.2 NM should go for $35. But I’ve seen the book commonly priced at $60. Usually books with barcodes are considered more valuable as they would have been harder to find in a good condition. However, because of the sudden excitement surrounding those books, I’m sure you’ll find barcoded and non-barcoded books packaged together as most of the vendor’s want to make a quick and easy dollar. I know this isn’t an exact answer that you’re looking for, but it goes to show you the chaos that surrounds comic book pricing and being a comic collector. Return of Jedi $1 with bar code , I see the rest with spider man , is the one with barcode worth more? Hi Randy! Thanks for the question. I assume you mean RoTJ #1 from 1983. That was a limited series run for only a few issues. Guide suggests a near-mint version of the book goes for about $20. Unfortunately for the 80’s – and because it’s Star Wars – books like that were printed en-masse so the actual value of the book really can range anywhere from $2 to $20. And I’m meaning $2 when it’s close to mint condition. To make it a $20 book, it’d really have to be proven to be a 9.8 or higher grade. If that’s all said and done, and your book is a 9.8 or higher, you may get a few extra dollars out of it, but that’s about it. However, it really all varies on the buyer. Just keep your hopes up! Hi Cindy! Thanks for commenting. As per the current Overstreet Guide (45th edition), those books near-mint (CGC 9.2) could fetch around $20-$30. If you do not have a barcode on the cover, then they would be considered Direct Market (DM) comic books – meaning they’re ones sold directly to comic book shops. While DM books are not considered as valuable as books with barcodes, when it comes to DM books like yours, it shouldn’t change the price by much – if at all. I’ve been wanting to start collecting The Real Ghostbusters comics again. I’ve seen ones with the barcodes or picture of Slimer in the box. If they don’t have either, but instead have the writer and artist’s names inside the box instead, does that make the comic a proof . I have not seen this on comics before. Thanks for the question, Matt! I don’t think I’ve ever seen a book with the creator’s names in the spot of the barcode before. I’d love to see it! Which issues are you referring to? I wonder if there’s a difference between the American comics and the UK releases of that series. . . hmm. 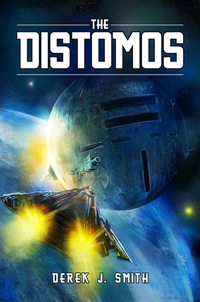 Going back to your question: if no barcode is present, then it would be considered a Direct Market book. If there is a barcode AND the creator’s names are given, then it would be a Newsstand Edition unless stated otherwise. Hey Jason! Thanks for the question! Technically yes, comic books with a bar code are considered more valuable than with an image in its place. Even more so if the book is in great condition. That’ll mean if you’re trying to sell the book, you may have a bit more room to get a higher value. Ultimately it is the market that will dictate the price of the book. As for it being “Vol 1,” I assume you mean it’s a first edition and not a reprint. Please correct me if I’m wrong. Saying that, a first edition book will always be worth more than a reprint. How about GI Joe 1 from the original 1982 run? I have a square box on price barcoded CGC 9.8 with no strike and a exact same 9.8 CGC except superhero face with triangle price. What are the differences in rareness and price ? Hi JMC! Thanks for stopping by. Technically the book you have with the plain ‘ol barcode is the more sought-after copy as it would be considered a “Newsstand Edition.” The look of how the pricing was displayed for some books were also based on whether or not the book was a Newsstand or Direct Edition. While some pricing differences on comic book covers do increase the value of the book, GI Joe #1, as far as I’m aware, only had an American pressing so there aren’t any versions of the book with different cent variants. Regarding the rarity of either the Newsstand or Direct edition of the book, I couldn’t tell you how many copies were printed. But like I said, the Newsstand Edition would technically be more sought after as it would be “rarer” for a Newsstand Edition to be in a good condition. I happen to purchase a Spawn #77 with the barcode & I received it today but what I didn’t notice when I purchased it was that in the barcode box above the bars it says ADS Newsstand. What do you make of it? 1st time for me seeing this. Thanks for your help. Hey, OldmanSpider! Thanks for the comment! In a nutshell, you have the Newsstand Edition, which as mentioned above, would be more sought after as its condition would be “rarer” than its Direct Edition counterpart. Back in the 80’s when I collected the G.I. Joe Comics, there were some with the Spider Man face, but all in black. I was told back then that this meant a 2nd printing. Is this true? I want to get some of my favorites from back then in graded form, but do not want to overpay for something that isn’t a first issue. Thanks. Hey, Chris! Thanks for the inquiry! As far as I can tell, those books never had a barcode or Spider-Man head on the cover because they weren’t treated like comic books. In fact, the barcodes were on the back of those books which also featured some other artwork. Alternatively, the safest way to tell is to open the cover of the book and read the publisher and copyright information. It will tell you the year the book was printed – and reprinted – on. But because the books were printed in the 80s, there’s really no chance a reprint of one book was done in the same year. So if your G.I.Joe book has a Spider-Man head on it, chances are, unless it’s some random fluke I’m not aware of, it is the legitimate first print, Direct Edition comic book. With all that, I imagine you’ll be able to tell if you have the original comic book or not! Good luck with the grading! Thanks for the info. So there is no difference between a clear Spider-Man head, and an all Black one? Still means it’s a Direct Issue? The Spider-Man heads (or other barcode images) changed colour depending on the event Marvel had going on. The first issue of Marvel’s G.I. Joe came in 1982. Probably any time around 1983-1985, Marvel’s comics would have started to sport the black Spider-Man head because they were promoting the 1984 “Secret Wars” event. That event premiered the new black Spidey costume in December of 1984. So you may have early Joe books with white Spider-Man heads with later issues having black heads. Either way, they’re all still Direct Editions! I have a Spiderman issue 5 by Todd McFarlane and on the bottom of the barcode, it has a Spiderman’s head with half black and half white. 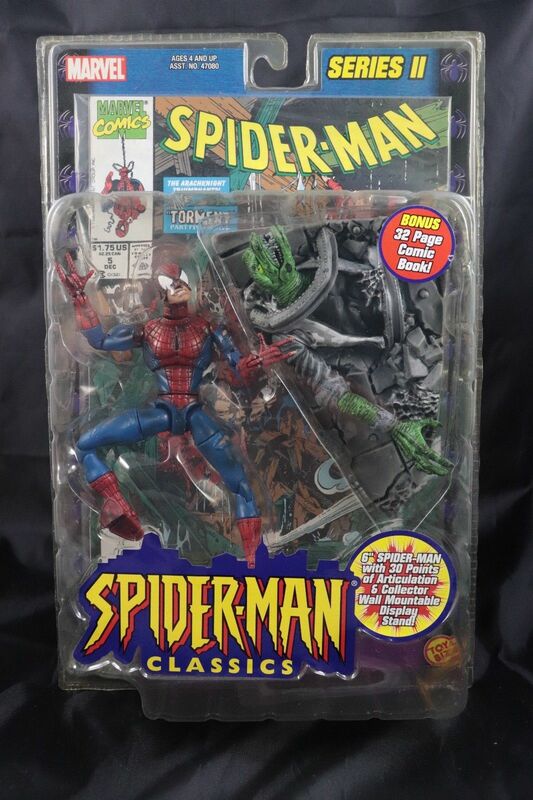 I currently bought a lot of comics and acquire another Spiderman issue 5 by McFarlane ( same comic) but instead of the Spiderman’s head, it is a black spider. Is this a way to determine from first, second or 3rd print or does the different heads mean region of sale. Please advise. Hi Ray! Thanks for the question. So the Toy Biz version is the reprint version. Regarding value, because of the scarcity of that book from the toy (and also making it more difficult to keep it in a better condition when you open the toy up from its packaging), I’d have to assume it’s worth a tiny bit more. That being said, maybe the book would be worth more if it was still in its original packaging? I don’t know! That’s up to the buyer. I’m glad you came to me with that interesting dilemma! Hi David! Thanks for the question! The answer for that can relate to barcoding. Some businesses would stamp the comic book on the cover with the book’s day of arrival. Doing so would help the business know how long they had each issue for. When businesses would want to return comic books to the seller, they’d know how long they had the books for because of the stamp. The stamps, however, are not a determining factor on whether your book is a Direct or Newsstand Edition. As an aside: stamps on the cover really don’t devalue comic books as most books pre-70s were stamped. I do have a couple of books that are stamped myself – all from the 60s and earlier. I actually would be hard-pressed to find books I own from the 70s like yours that still have stamps on them. I have a two books signed by Stan Lee and CGC Certified. I hope you have as much fun meeting him as I did. Just to clarify, ASM#110 was Lee’s last issue of Spider-Man, but definitely not the last comic book he wrote. I’d hate for you to have been given wrong information.